African Movie Channel (AMC) is a global player in the rapidly expanding African film industry which is now the second largest film industry in the world. African Movie Channel's 24-hour linear channel dedicated to the best Nollywood and African movies and series is available across 14 countries, and is one of the most popular channels in Africa. Directly from our production hub, AMCOP, AMC is ending your year in style with the world premiere of our very own original movies, showcasing excellent African storytelling by home-grown talent. Every Friday night, we are gracing your screens with movies to thrill, excite and pull on your heartstrings, from 7th December. Exclusive to AMC. Nollywood is the second largest film industry in the world. It produces circa 2,500 movies annually, and is extremely popular with Africans at home and the Diaspora, African-Americans, Afro-Caribbeans, and “African culture fans”. Currently, Nollywood films significantly outsell Hollywood films in Nigeria and many countries in sub-Saharan Africa; they are available in even the most remote areas of the continent. New forms of distribution include digital distribution pioneered by the African Movie Channel through its online high quality On-Demand services, and soon, via its Roku channel and iPad app. African Movie Channel's 24-hour linear channel, AMC24, launched in May 2011, is available in more than 5 million homes across 14 countries. It is one of the most popular channels in Africa. Nollywood movies are now regularly screened alongside mainstream movies in cinemas in Nigeria, Ghana, the UK and North America. Nollywood films are also receiving wider distribution as more and more Nigerian producers and directors are attending internationally acclaimed film festivals. Join us every week on the AMC couch as we talk to the biggest movers and shakers in the buzzing industry. We are putting you in the know with all things in African and Nollywood cinema; Actors, actresses, directors, producers, filmmakers, classic cinema and soon to be blockbuster hits - it’s all here for you on AMC Movie Talk. Drama series with two ladies, who each run an orphanage. One picks up young pregnant girls and pays them for their babies, which she later sells off through her orphanage. The other runs her orphanage the legitimate way. The series also follows two young women who prepare to send two young girls off to traffic cocaine in Japan and Malaysia. 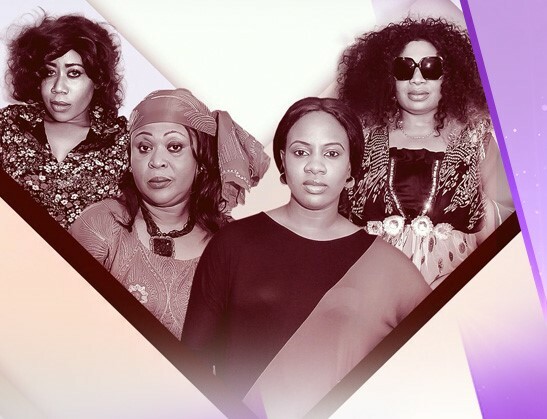 Starring Florence Onuma, Cassandra Oma Enujeko, Moyo Lawal, KC Ejelonu. Kome meets Roli whom he falls in love with whilst displaced from his community. Together they share a joint desire to overcome poverty, ethnic minority deprivation; standing tall as a voice for the oppressed people in their region. Will their love for each other overcome their present ambitions? An epic tale of revenge, twisted sorrow, pain and an intrinsic ambition to become King and Ruler of a community. Starring Ramsey Nouah, Segun Arinze, Rachel Oniga, Chelsea Eze and many more. De Real Don is a situation comedy that tells the background story of the comedian DE-DON. De-Don is a young man that tries to succeed by all means but doesn't have a clear vision, so he jumps into any opportunity that comes his way. Starring: De-Don, Isokoh Stanley, Tony Akposheri and Big Tony. Sunshine Avenue is an action-packed satirical drama, set in a 21st century middleclass neighbourhood in Africa, featuring a wannabe Marilyn Monroe, an international students’ hostel, a longsuffering homemaker, a con artist turned priest, a popular Pub and many more... Starring: Judith Asante, Sheila Akomeah, Kingsley Yamoah and Elaine Alexis Attoh. Desmond, an actor, who through his good looks attracts ladies, moves into a neighbourhood and causes nothing but jealousy amongst the ladies in the compound. Though Desmond has a girlfriend, at first, he acts surprised about every attention he gets from his female co-tenants. But he should get used to it. After all, he is a successful movie star. Starring Bolanle Ninalowo, Uche Ogbodo, Yakubu Mohammed and Shirley Igwe. Drama based on Nigerian celebrity couples: Toyin Aimakhu is a celebrity, who is a victim of domestic violence, while Tonto Dikeh is a newly-wed lady under pressure to get pregnant. Starring Tonto Dikeh, Odunlade Adekola, Jackie Appiah, Kanayo O Kanayo, Osita Iheme and many more. It is said that nothing good comes easily and love is a battlefield where two hearts collide. In this drama, we follow a group of young people as they go through life predicaments. From love to lust, friendship, betrayal and heartbreaks, these youngsters experience the painful sting of loneliness and deceit. Drama starring Peter Inem, Salami Rotimi, Hilary Joy and Fakunle Olarotimi. Childhood friends and now husband and wife, Kofi and Ama combine forces as they set up a business consultancy dubbed “Solutions”, dealing with agribusiness and advertising. As the young and driven couple’s expertise provides great insight to diverse business entities and entrepreneurs, they face challenges as they deal with different marital and family pressures. Drama starring Fiifi Coleman Christine Mary Kaley and Fatimah Quainoo-Obuamah. Join us every week on the AMC couch as we talk to the biggest movers and shakers in the buzzing industry. 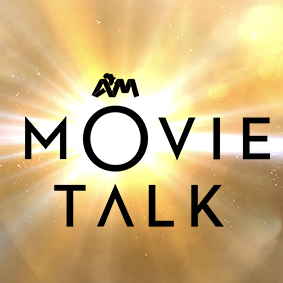 We are putting you in the know with all things in African and Nollywood cinema; Actors, actresses, directors, producers, classic cinema and soon to be blockbuster hits - it’s all here on AMC Movie Talk. Dupe's world crumbled when she realized that her first child wasn't fathered by her husband of eighteen years whom she had faithful to. Broken, mentally unstable and chased out of her matrimonial home, she tows the hard path of unveiling what happened at the birth of her daughter eighteen years back and fight to bring her family together again. Starring Funsho Adeolu, Ralph Olaniyi, Jimi Makinde, Femi Oke, Omotomike Okpara. A fresh, humorous and, sometimes, irreverent take on the current happenings in Nollywood, along with latest scandals, celebrity and industry news, trends and gossip. African Movie Channel’s two 24-hour linear channels, African Movie Channel and African Movie Channel Series (AMC Series), are available on multiple TV platforms in more than 5 million homes across several African countries. The channels are dedicated to showing only the best quality movies and series from Nigeria’s Nollywood, and the best from the rest of Africa, and are designed to be offered on various TV platforms across the African continent and beyond. Our channels, considered to be amongst the fastest growing channels in Africa, are presently two of the most popular channels on the continent! AMC Movies and AMC Series are the best channels of their kind there are, because over the years, AMC has built up significant experience from identifying desirable content, and has invaluable access to popular and compelling African content, and contacts in the African media industry. 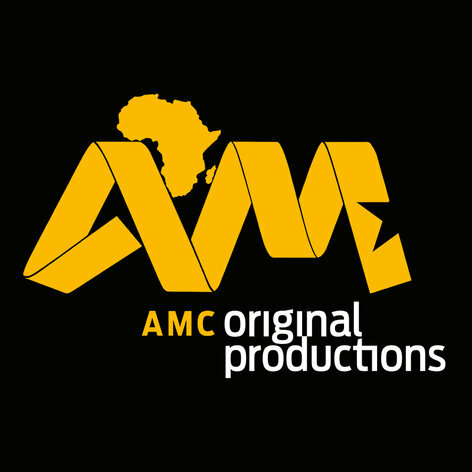 African Movie Channel (AMC) officialises its progress into the development and production of its own movies and TV Series through its newly created production division, AMC Original Productions – AMCOP. The African film industry is facing wider international recognition and it is important that industry players continue to contribute even more to its expansion, and for wider mainstream audience. It was a colourful evening at The Wheatbaker Hotel Ikoyi on Saturday 10th December, 2016 as African Movie Channel (AMC) launched its first TV series, ASUNDER, a 65 episode series that analyses the challenges faced in today’s marriages and relationships. Guests included casts from the Asunder series, Nollywood actors, media buyers as well as other industry personalities who came to show their support and were entertained with a preview of the ASUNDER series. International Pay TV broadcaster, African Movie Channel (AMC) today launched its second channel, African Movie Channel Series (AMC Series) on Azam Pay TV Limited’s Azam TV television platform. From today, August 1, 2016, Azam TV’s subscribers are able to watch exciting Nollywood and other premium African TV series from a variety of genres including drama, comedy, reality and lifestyle shows, 24 hours a day. Nigerian pay-TV platform CONSAT has added the African Movie Channel (AMC) and African Movie Channel Series (AMC Series) to its available content. “AMC and AMC Series will offer unmatched African drama series and Nollywood content that will cater to CONSAT’s need for wholesome family viewing that is in line with African centred values for its highly discerning Nigerian audience,” said founding partners and co-directors of African Movie Channel, Yinka Mayungbo and Lola Onigbogi. African Movie Channel is a leading supplier of African movie programming and television operating three 24-hour linear channels, African Movie Channel (AMC), African Movie Channel Series (AMC Series) and Nolly Africa, all offered on various TV platforms across the African continent and beyond.